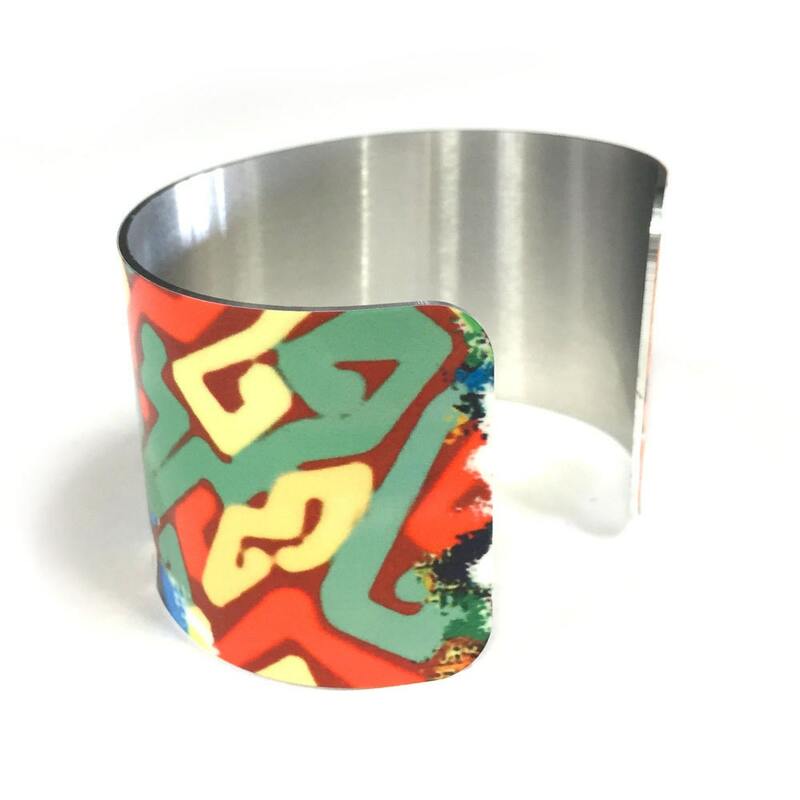 Sublimated aluminum cuff bracelet with cubist art design. 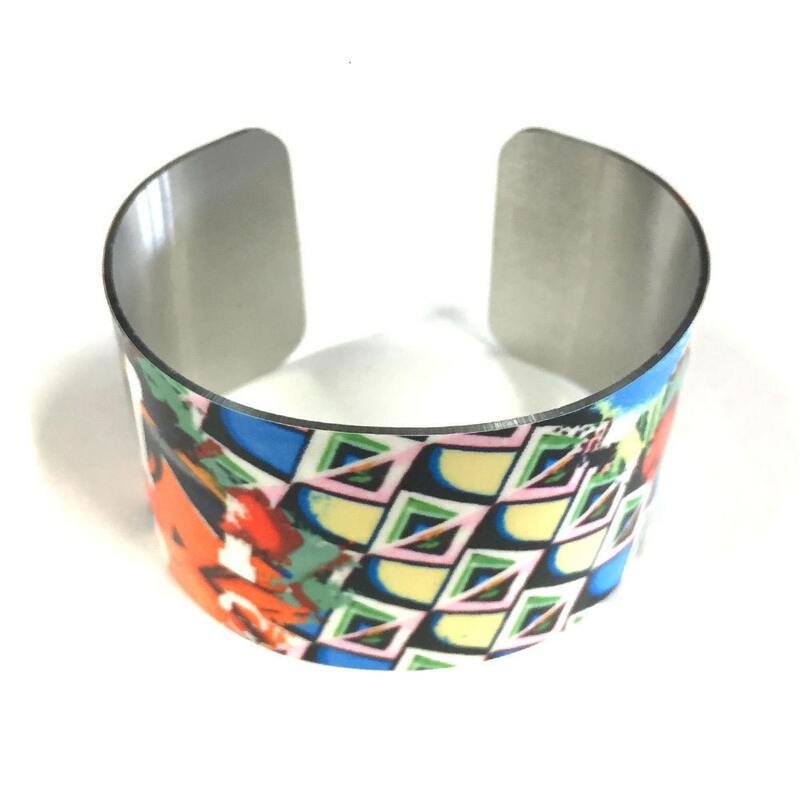 Each cuff is made of 18 gauge aluminum, it is bendable to adjust and fit comfortably your wrist. 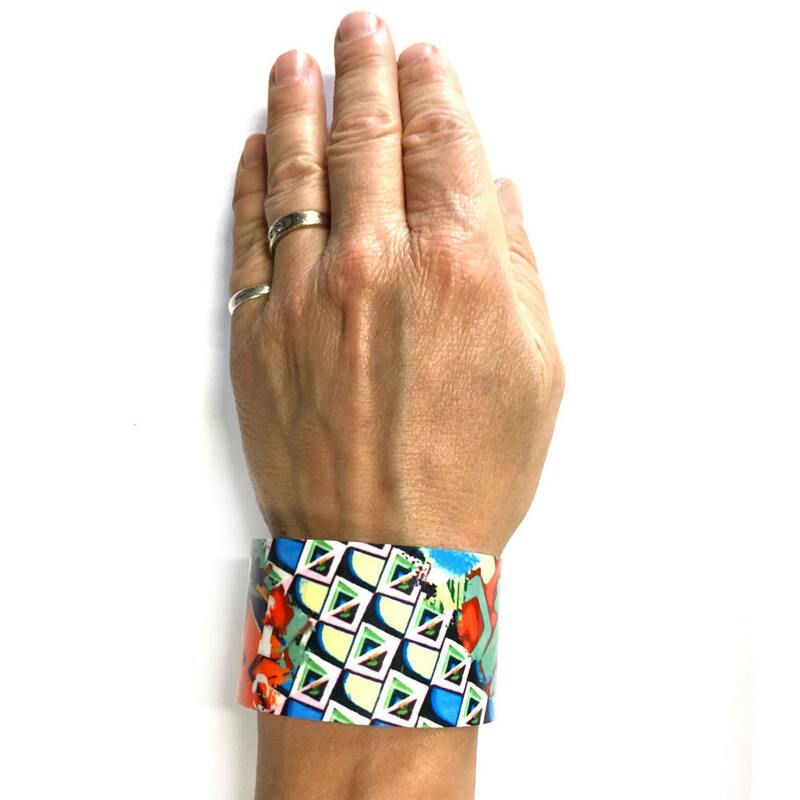 The surface of the cuff is a glossy finish and measures 1.5" x 6"
The cuff is customizable, simply send me a convo thru Etsy messaging system with your art. 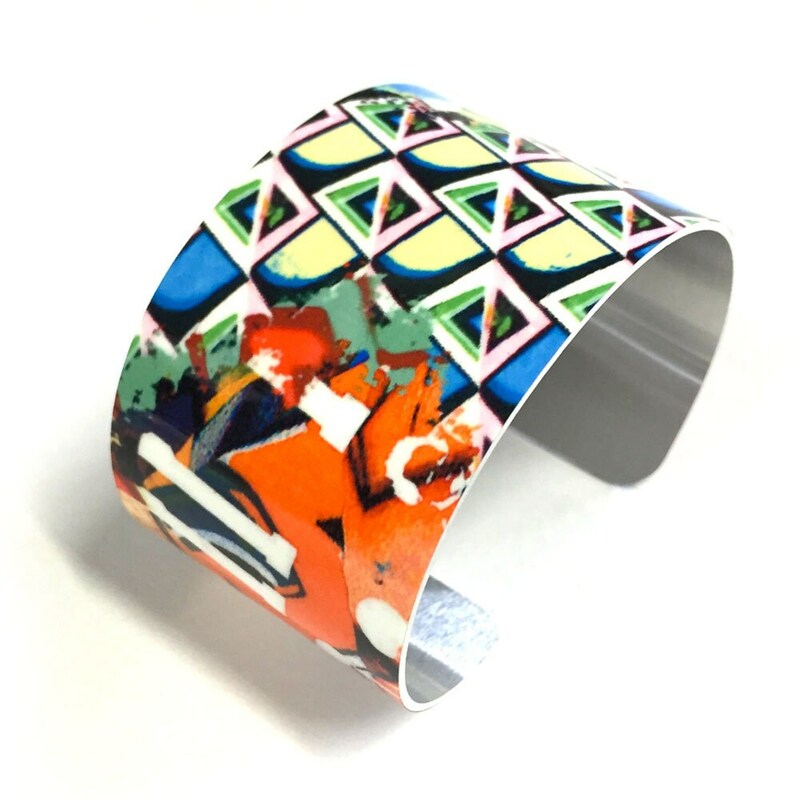 I will send you a layout of your art on the cuff for your approval before I make the cuff. 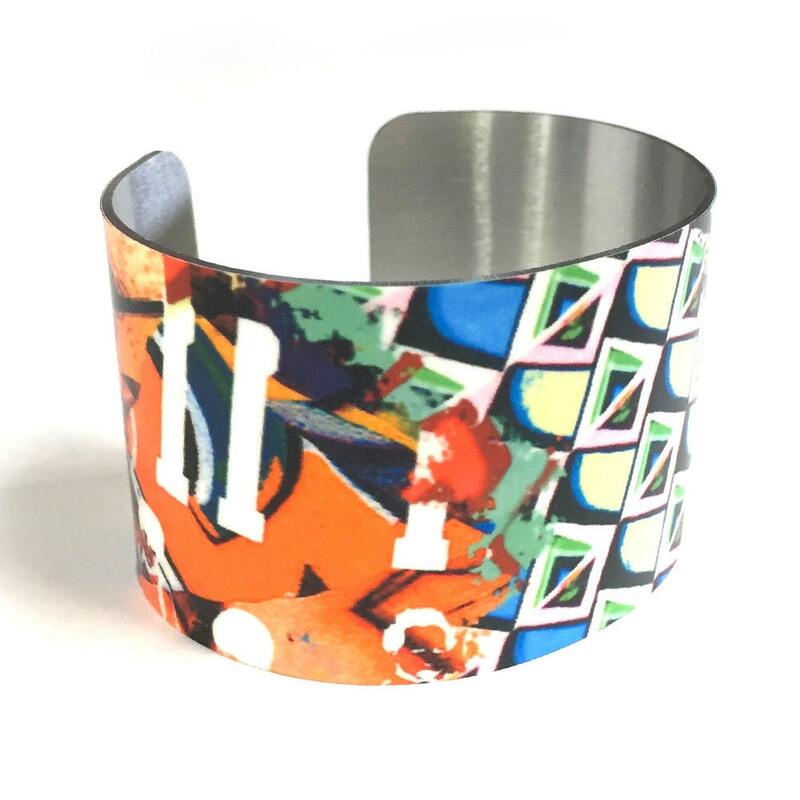 It makes a great gift for your close friends or even for yourself!